Economists Rick van der Ploeg and Willem Vermeend think taxes should be cut from next year and a big slice of the ABN Amro flotation money should flow right back into the taxpayers’ pockets. Although it’s the government that decides on tax cuts it looks as if they will be an important election issue in the campaign for the provincial elections on February 18 as well. Last Wednesday prime minister Mark addressed an audience of entrepreneurs in Aalsmeer, as part of his party’s provincial election campaign. Rutte said the cabinet will cut taxes by €3bn to €5bn – economic circumstances permitting- in an effort to boost economic growth and employment. According to the VVD leader this measure, combined with the reforms already approved by parliament, could make the Netherlands one of the fastest growing economies in Europe. Is this mere election rhetoric? No. The reforms of the last few years have strengthened the economy and encouraged growth. Expected growth for this year is 1.5%. In order to belong to the top growth will have to exceed 2%. A clever tax package which promotes growth and job creation should push the percentage up sufficiently. But it will take more than €3bn to €5bn. We have calculated that the number should be closer to €10bn and that it is possible to find the money while the cabinet is still in office. 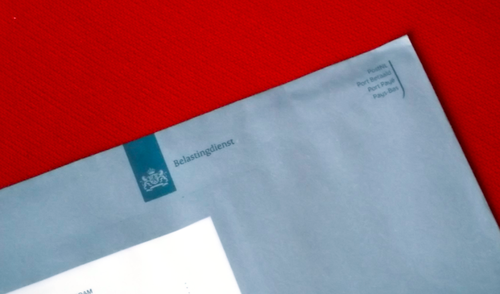 Rutte II wants to combine tax cuts with a reform of the tax system. That idea must be shelved as quickly as possible. Apart from the lack of consensus in the coalition about the scale of the reforms, the parliamentary procedures involved would take up too much time. It would take at least until January 1 2018 before a combination of both tax cuts and reforms could take effect and any positive effects on growth and employment would only manifest themselves in the following years. If Rutte II wants to up growth and create extra jobs the tax cuts, regardless of tax reform, would have to take effect from January 1 2016. According to macro-economic government thinktank CPB there are three measures that would garner maximum effect. A reduction of the lowest income tax tariff, a higher labour discount and a reduction of premiums for employers with small and medium sized businesses will push growth past 2% and increase the number of jobs. This in an ideal scenario: a worldwide slump or other international disasters would, of course, change the outlook considerably. There is another way to help tax payers and stimulate consumer spending at the same time. No one has forgotten the bail-out of the banks in 2008-2009 paid for by the tax payers. Rutte II announced last year that preparations are under way to float ABN Amro on the stock exchange. That would result in around €15bn in total for the state coffers. The state will hold 10 to 30% of the shares initially. With a market valuation of €15bn this will yield between €1.5bn and €4.5bn. That money has been earmarked for the reduction of government debt. Dutch government debt is among the lowest in Europe. It would be a much better idea to use the money to fund a one-off tax break for the 11 million tax payers whose money bailed out the banks. Tax cuts and a boost in spending power: a double whammy to help both the tax payer and the economy. Rick van der Ploeg is professor of economics at the University of Oxford and adjunct professor of economics at the VU University. Willem Vermeend is an internet entrepreneur and professor of economics and e-business at the Maastricht School of Management (MSM).